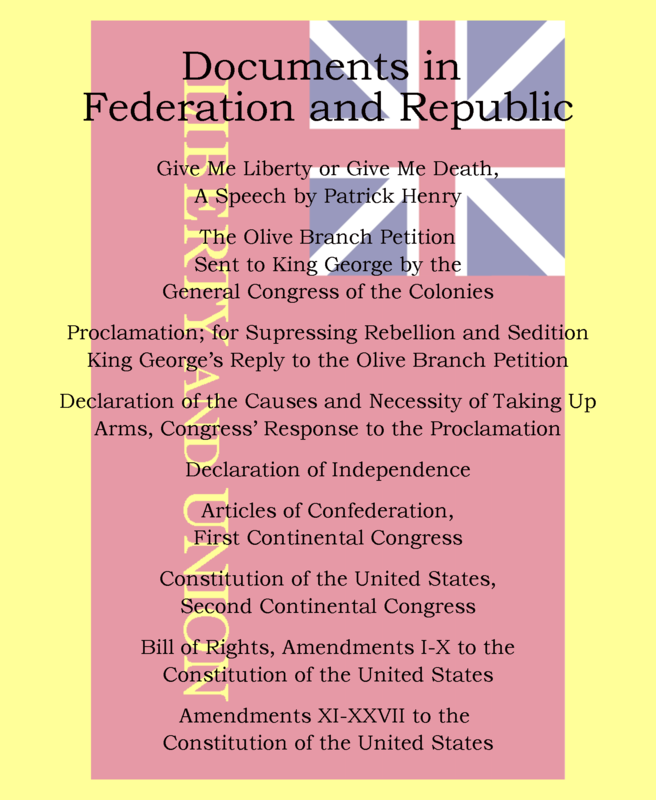 Many of these documents are available online and/or through the US Government Bookstore. This pdf is made available as a public service. 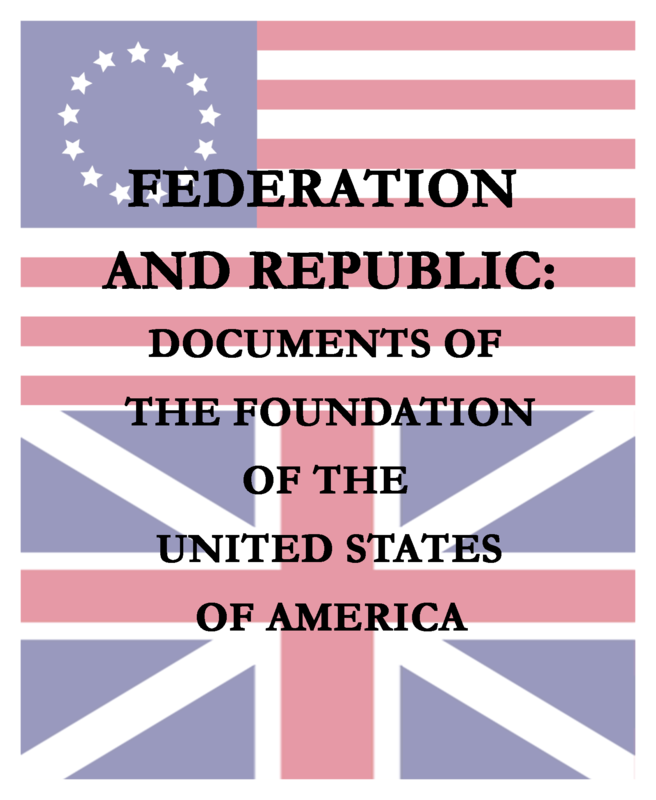 Federation and Republic is also available in book format here from CafePress.com. You will need the free Adobe Reader to read this pamphlet. It's available here.